We provide NLP Certification by the The Society of Neuro-Linguistic Programming™, the original certification body formed by NLP Co-Founder Richard Bandler. This certification means that you can be assured that your certificate and your skills will always be up to date and recognised throughout the world. Because we focus on bespoke 1:1 training, we only take on delegates that we believe will be in the top cadre of practitioners and coaches. We also believe they should start working with clients and customers as part of their training and will give them full support and backup in doing so. SNLP Certification is available at three levels; Practitioner, Master Practitioner and Trainer. We certify to Master Practitioner and Coach Practitioner Level and only Richard can certify to Trainer Level. (See below if you want to become a trainer*). In order to provide a choice of options to our delegates we also offer NLP Business Practitioner, NLP Coach Practitioner and NLP Business Master Practitioner. You need both NLP Practitioner and Master Practitioner certification before being accredited as a NLP Coach Practitioner. While NLP certification is easy and straightforward it is not automatic. You will need to take an active part during your training and demonstrate a degree of curiosity, openness, courage and discipline. 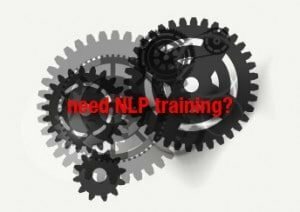 You will also need to demonstrate an increased competence of the attitudes and techniques of NLP. This is required both throughout your training and at the final accreditation sessions. Please note we are unable to offer certified courses to non SNLP NLP trainers, however non SNLP trainers can take part in our NLP Diploma courses, see below. We usually accept NLP certificates from reputable NLP training organisations for our Master Practitioner and Coach Practitioner Certification. We currently offer the following NLP Diplomas: NLP and Hypnosis diploma, NLP Coach Diploma and NLP CIPD Diploma. On successful completion you will receive an attendance/completion certificate signed by Michael Beale, John La Valle and Richard Bandler. If you attend and haven’t completed these yet you’ll receive a certificate – Specialising in NLP Presentation Skills. To become a trainer, you’ll then need to complete your Practitioner and Master Practitioner within a maximum of 18 months. There are some other requirements in becoming a trainer. If in doubt please ask. Read more about lead trainer Michael Beale. Telephone +44 (0) 19088 506563 with your name, how to reach you, and the reason for the call.